premium mobile home year 2013, 33 m2, including a living room, a kitchen with gas stove, a bedroom with a double bed, two bedrooms with 2 single beds, a bathroom, a toilet, air conditioning, BBQ. A very large terrace. All on a large plot partly shaded and quiet. The site "Blimouses" Callas is located near Draguignan. 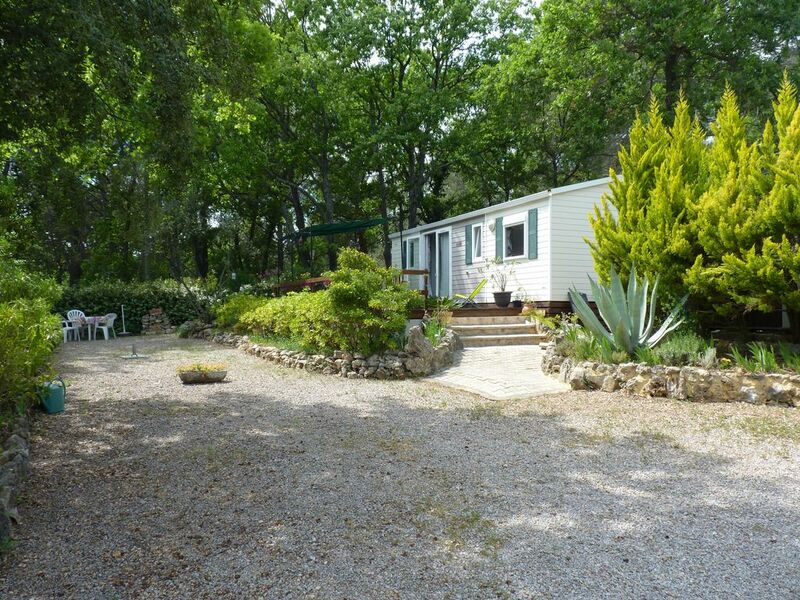 This is a human-sized family campsite located at 40 beaches of Frejus and 30 minutes from the Gorges du Verdon. It features a water park with slides and many playgrounds for children.